The biggest calling for me was when I realised what was making me happy and what was making me unhappy. Today, I am discussing with Sophie Bryan, a Culture Change expert, TEDx Speaker | Writer | Trainer and Action Learning Coach. She is passionate about making change happen. In our conversation, Sophie explains how she discovered her calling and decided to focus her work on culture change. She talks also about how to transform a traditional organisation into an innovative one and how to win hearts and minds instead of just training people to adapt to change. We’ve also discussed how to transition from a corporate job to do a more entrepreneurial work. 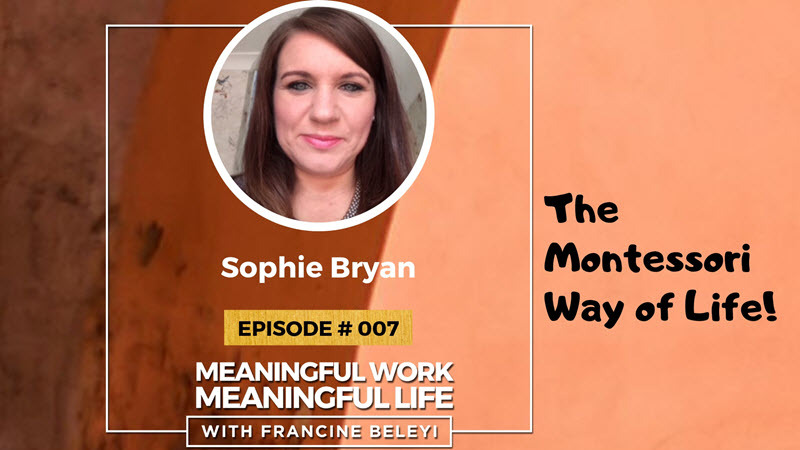 Sophie believes that we can use the Montessori teaching elements of freedom, curiosity and play both in our work and life for a more fulfilled life. Now let’s listen to this insightful conversation with Sophie Bryan. TEDx talk: Could Montessori be the answer to a better workplace?